Noc’s Landing is located on 5 acres on the west side of the Stonington Peninsula in Michigan’s Upper Peninsula. 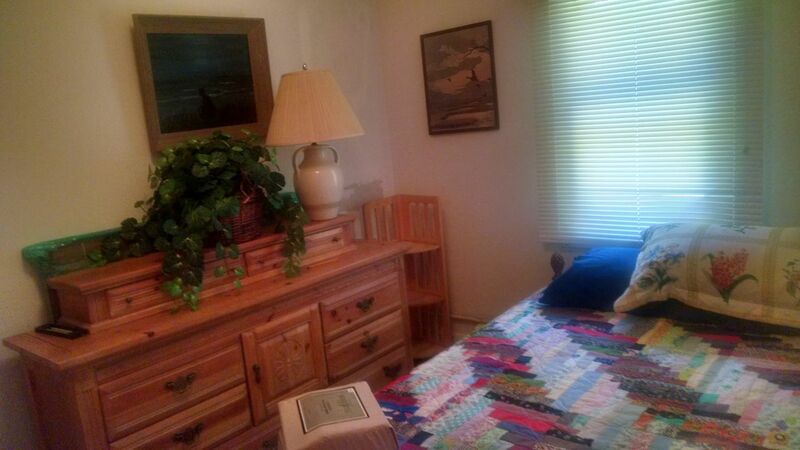 The cabin is situated on the North end of the 5 acres, approximately 200 feet from another, quiet cottage. 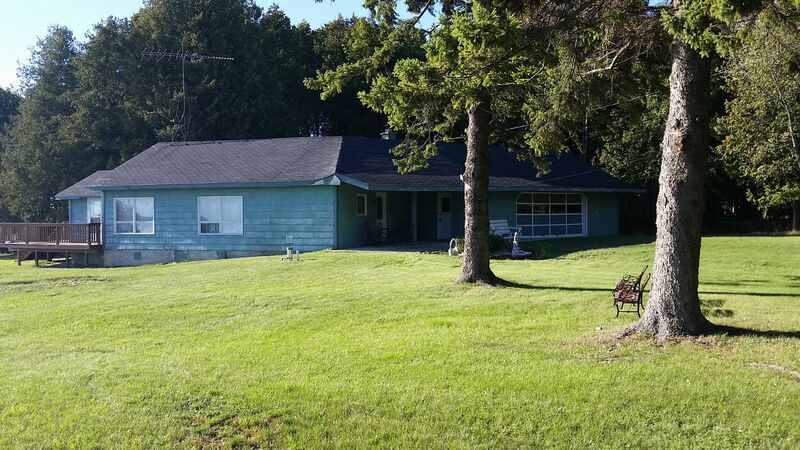 This dated, rustic, quaint home has a private beach area, (although there are many weeds and rocks), simple bathroom, large living room windows which allows natural light to pour in, and lakeside deck with a gorgeous view of Lake Michigan. 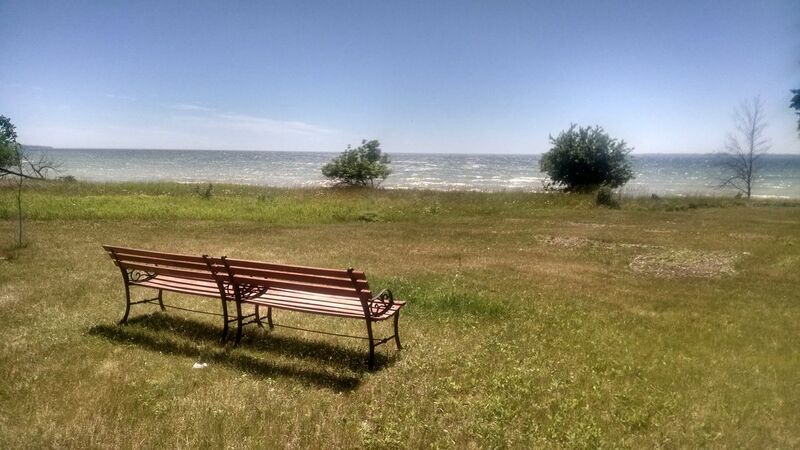 Unique to this property is it’s artesian well and across the bay view of Escanaba (phenomenal fireworks view). World class fishing for Walleyes, Smallmouth Bass, and Northern Pike.This 2- bedroom cottage has a washer and dryer, dishwasher, microwave, tv (ONLY DVDs' and player provided, no WiFi or cable) , fire-pit (on the private beach area with rocks (no ring), charcoal grill, and kitchen table for your enjoyment. While gazing out, you are sure to find soaring eagles, beautiful deer and gorgeous sunsets. If you would like a more adventurous vacation, paddle-board rentals are in Escanaba, in which you can paddle across Little Bay de Noc. Sleeping 4 comfortable in 2-Full Bed Bedrooms. Still plenty of openings from late Aug. Thru even October for those fishing for the trophy Walleyes, Northerns, and Smallmouth bass. Salmon should be arriving in fall as well.Great fall colors. A great place just to relax and breath "fresh air". Sandra, we are pleased that you enjoyed your stay at Noc's Landing. Being able to get out into nature is such a treat, and we are glad that we could assist you in doing that. Fall in Michigan is simply spectacular. We look forward to working with you again. We had a great time! Loved being right by the water. The place is very charming and clean. Quick communication. Genna, we are so happy that you had a great time at Noc's Landing. Sitting out on the deck over looking Lake Michigan can't be beat! We hope to see you again. Angela, we are so pleased that Noc's Landing exceeded your expectations - wow - now that's saying something! We hope that you will come back again. The house was very clean and we loved the size of the house, yard & fact that there weren't noisy neighbors nearby. The view was incredible. We also appreciated the amenities. Very comfortable! Lauren, we are so happy that you enjoyed the peace and quiet of Noc's Landing, and all that the cottage had to offer. We agree, the view is incredible! We look forward to working with you again soon. Location was incredible. The sound of Lake Michigan waves crashing in the back yard was awesome. Probably the best view of any property we’ve ever stayed at. House could use a few updates, but great value overall. We would recommend this place to anyone. Kristin, we are so happy that you enjoyed your stay. There is nothing better than hearing the rolling waves of Lake Michigan. This cabin is a beautiful place! It’s quiet and peaceful to everyone! From swimming to skipping rocks, it’s defiantly a location I’d reccomend to anyone wanting to have a perfect getaway from their daily lives! Sarah, we are so glad that you enjoyed your stay at Noc's Landing. 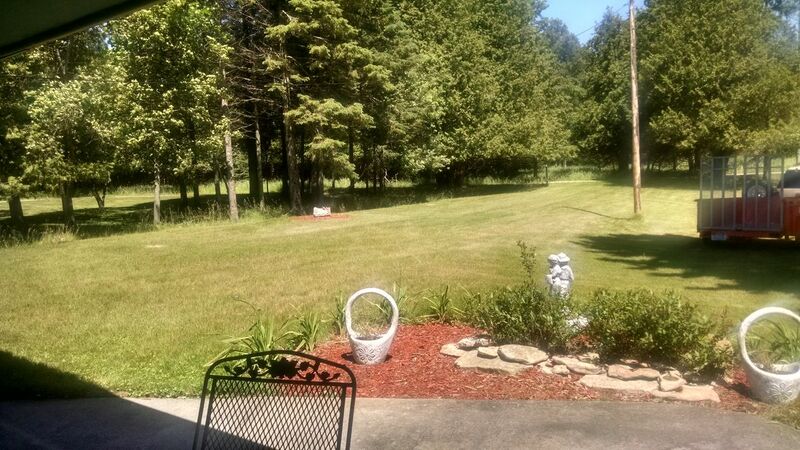 Having 5 acres surrounding the cabin,offers you peace and quiet. Add to that the world class fishing for Walleyes, Smallmouth Bass, and Northern Pike, and you have a perfect vacation spot. We hope to see you again! The wife and I have stayed here twice now and love the area. It is very quite and the sound of the water puts you right to relax mood. The house is great for two couples or a couple with kids. Some updates could be made but keeping it original gives you that true U.P. feeling. I highly recommend you give this place a try. The only downfall is when you have to leave. It's very tough, but looking forward to coming back next year! Matthew, leaving is so very hard to do. And then the return is oh so sweet. I think there is a song in there somewhere! We are thrilled that you continue to return to Noc's Landing and look forward to next year. We had a wonderful family vacation this past week. We were a little nervous based on some of the other reviews, which is why I am leaving this one. Yes it is a dated fish mounted typical UP house - which is what we expect and love about our trips up north. The beach is great for skipping stones and swimming and kayaking (bring water shoes though it is rocky). A boat launch is 5 minutes down the road (got to Farmers Dock) and easy for our 18 1/2 foot Lund to get in and out and we caught 26 fat walleye that we are still enjoying. We did not see a trace of any mice, and yes we blew the fuse in the kitchen when running multiple electronics but it takes 2 seconds to flip the switch and get it going again. The washer and dryer are brand new and was great to go home with not a single load of laundry. We had campfires and watched shooting stars at night and rested in the hammock during the day, went tubing, hiked the lighthouse on the point and played football in the water. Additionally the management team were absolutely wonderful when we had a question they responded immediately. Lastly it is centrally located about an hour from all kinds of attractions like Marquette, Pictured Rock Boat Tours, Fayette State Park and more. We are 40, 39 and 8 years old and this was the perfect space for my family. Michael, thank you for this review. We love that took advantage of everything at Noc's Landing and had FUN!! That's what a vacation is all about. Plus your fishing is impressive. We appreciate your kind words about the people at FVR. Our goal is to make every guest comfortable at all of our properties, so it's good to get positive feedback from our guests. We hope to work with you again. This is a beautiful lot. You could not ask for nicer views. Our dog loved it, too! I was worried about the unique artesian well feature and was very careful with septic but we had many guests and no problems. We're originally from the area, Escanaba, know many people on Stonington and were well pleased. The owners had a brand new charcoal grill ready for our stay! It was clean, has a dishwasher and washer and dryer and a nicely stocked kitchen. The tap water is what you would expect if you're a Yooper but is fine for cooking, just an acquired taste for drinking. Bring gallons of water for the great Keurig coffee maker and to drink. This is a secluded property with great sunset views and the owners provided firewood and eight camp chairs to enjoy the bonfire pit. We brought our Seadoos and enjoyed the heck out of the bay. It would have been perfect if there was a canoe there to take a quiet ride in the moonlight so bring your kayaks if you have them. Thanks to our hosts, whom we did not see, the neighbors are great. We will be back to Noc's Landing. Jill, thank you for this marvelous review. Nocs Landing is a pretty special place, and the U.P. is simply extraordinary, especially in the summer. It's heaven for pups. I can just see your dogs smiling! We look forward to your return. Sandra, thank you for this stellar review! Wow. Just wow. We are beyond happy to be part of this vacation where your parents experienced the UP for the first time. Until someone sees, it they really cannot imagine just how gorgeous it is. 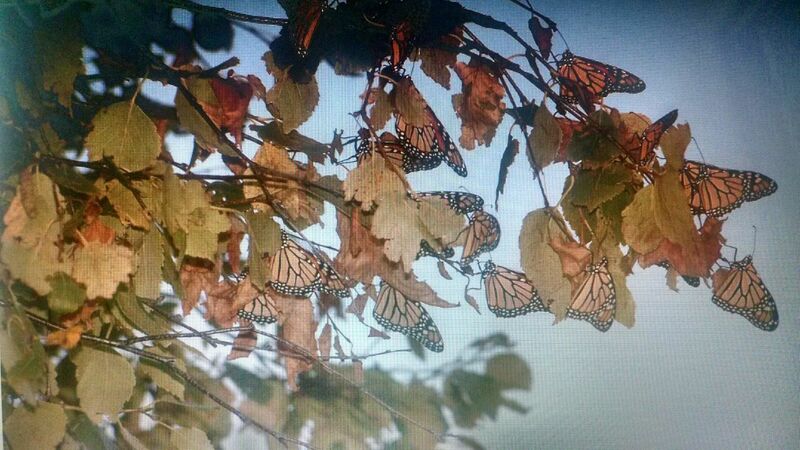 September in the UP will be stunning and seeing the monarch migration will be amazing. Thank you for the kudos to FVR. We do attempt to make everyone's vacations at our properties special. You can be our newest ambassador!